SANTA BARBARA, CA—Green Poet Press is pleased to announce the publication of A Bird Black As the Sun: California Poets on Crows & Ravens, edited by Enid Osborn and Cynthia Anderson. 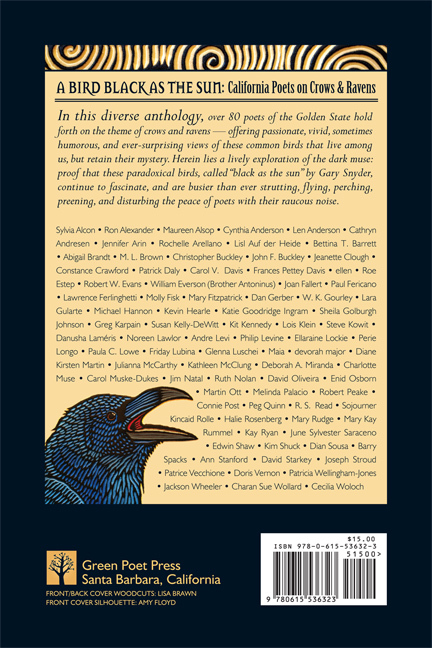 In this diverse anthology, over 80 of the Golden State’s finest poets hold forth on the theme of crows and ravens — offering passionate, vivid, sometimes humorous, and ever-surprising views of these common yet mysterious birds, called “black as the sun” by Gary Snyder. Among the outstanding poets in the book are Christopher Buckley, William Everson (Brother Antoninus), Lawrence Ferlinghetti, Dan Gerber, Michael Hannon, Steve Kowit, Carol Muske-Dukes, Jim Natal, Kay Ryan, Barry Spacks, Ann Stanford, Joseph Stroud, Cecilia Woloch, and many more. 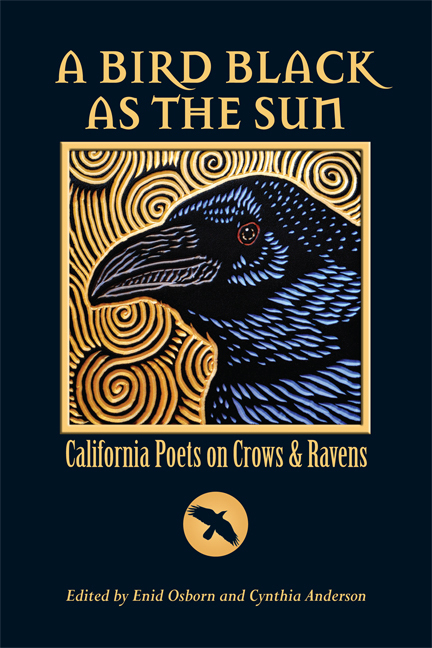 Editors Osborn and Anderson are award-winning poets and longtime presences on the California poetry scene. Green Poet Press is affiliated with Green Poet Project, founded in 1999 by Osborn to promote poetry events and publications in the Santa Barbara area.